From 3 years old to kindergartners, Mission Friends provides the building blocks of faith and a basic awareness of God's love for all people. Royal Ambassadors (RA) is a missions discipleship organization for boys in grades 1st through 6th. Through hands-on activities that encourage spiritual growth, games and sports, and mentoring relationships with a RA leaders, RA members become a faith-based brotherhood. 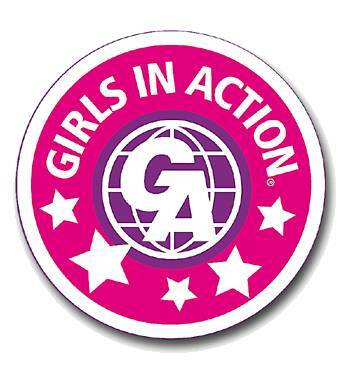 ​Girls in Action (GA) is a missions discipleship organization for girls in grades 1st through 6th. In GA's, girls learn about missions, pray for current missionaries, give to organization who help fund missions, and do missions work themselves. They also make new friends and have lots of fun! Children in 1st thru 6th grade please join us Sunday nights at 6 pm to prepare for the Bible Drill competition in the Spring of 2018.